← Sunday Night Dinner – The Dog Invasion! I had some posts I wrote early in my blogging life that I would like to pull back out from time to time since most of you were not following me then. 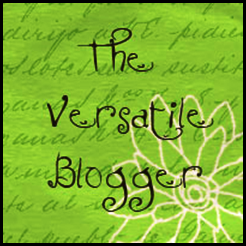 I came across this one tonight; it was written on February 28, 2011, 6 days into blogging, before I had figured out how to get pictures on the page. I hope you enjoy it! 2) Wednesday is our busiest day, because Kayla has dance after school, which finishes up at 5:50, and then I have to feed her, get her home to change into her sneakers and then be at the church by 6:15. We usually are home by about 7:45 p.m. Unfortunately, homework does not regulate itself according to our schedule so on Wednesday nights when she has homework, I am trying to cram her head full of (usually) math in 15 minutes and still get her to bed on time. It can be quite a drama filled experience. Last night when we entered the car, I asked if she had homework, and Kayla said yes. Once we were on the way to the church, she announced that she didn’t have homework after all; the teacher had decided to keep them from pulling the homework page out of their book after all. The dilemma: Should I double-check the homework file to investigate the mysterious disappearing homework, or just take the statement at face value and hope for the best? I’ll let you decide what I did…..
3) Isn’t it nice to see families doing things together? Last night the three of us participated in a joint parking project. I was driving and trying to swing into the garage without hitting the other car. I got advice from both Mark and Kayla (Mark: Cut it as hard as you can to the left; Kayla: You’re okay on my side!) Of course they were sitting on the same side, so the instructions were a little conflicting, but I decided to go with the more experienced driver :). Regardless of whose advice was better, since everyone participated, it qualified as a group project. Everyone was still speaking to everyone else when we finished, too! 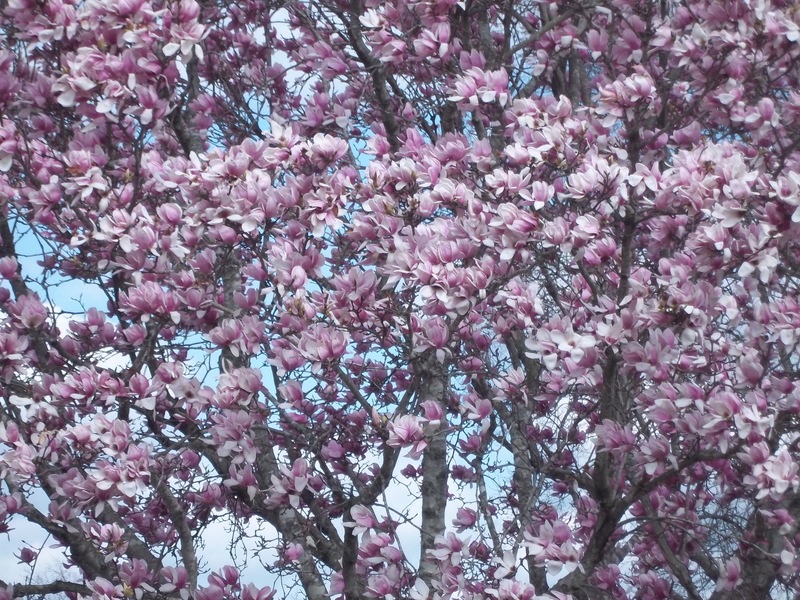 4) I have now seen about five tulip trees in full bloom. They are so beautiful! I really hope we don’t have a killing frost this year. The Bradford pear trees buds are starting to get full, but they’re not ready to bloom yet. It would be too early for them, anyhow. I still haven’t seen any yellow bells, which is sort of odd for this time of year here. If anyone has seen some, I sure would like to know about it! 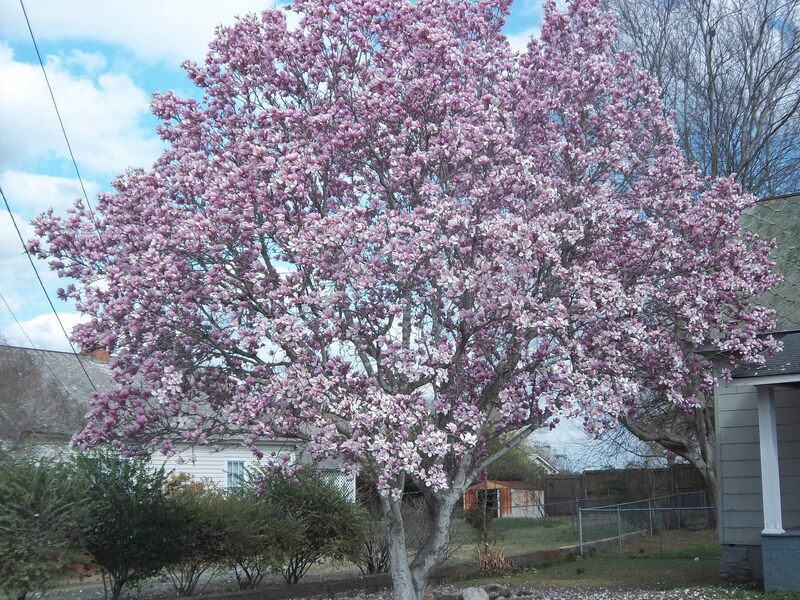 Since I now do know how to insert photographs, I will include one of a tulip tree, so you can indeed agree with me that they are beautiful. This entry was posted in Just stuff.... Bookmark the permalink. You are right…they are beautiful. I don’t think I have ever seen one before and would have thought they were a magnolia from a distance. Thanks for re-posting. They are, I believe, a member of the magnolia family but that’s just a general impression I have. They are interesting trees, because they are the first of the spring trees and usually bloom in late February, so there are many years when a late frost cuts off their display quickly. This past year, though, was one of the lucky ones where we didn’t have that happen. I needed help in that situation, so I didn’t complain. There are times when I look over at Kayla and suggest that we pretend that I am the Mom and the one who knows how to driver and that she is the child and hasn’t learned yet!